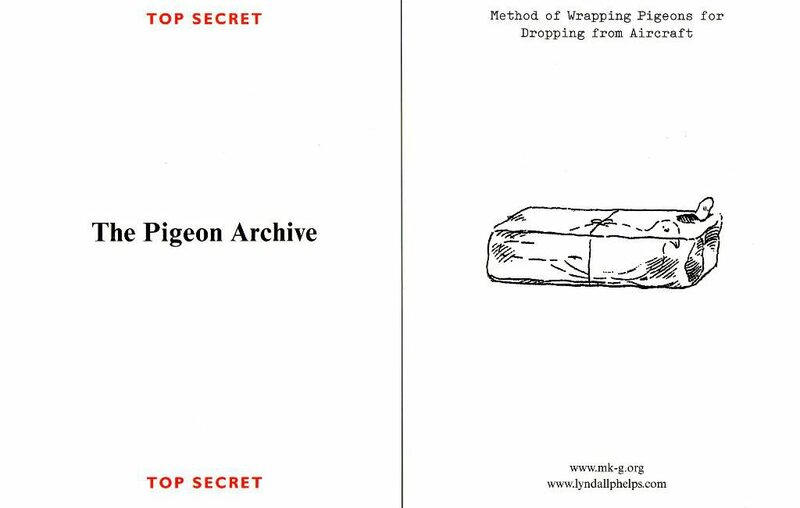 The Pigeon Archive explores the little known yet highly significant role pigeons played in the First and Second World Wars. 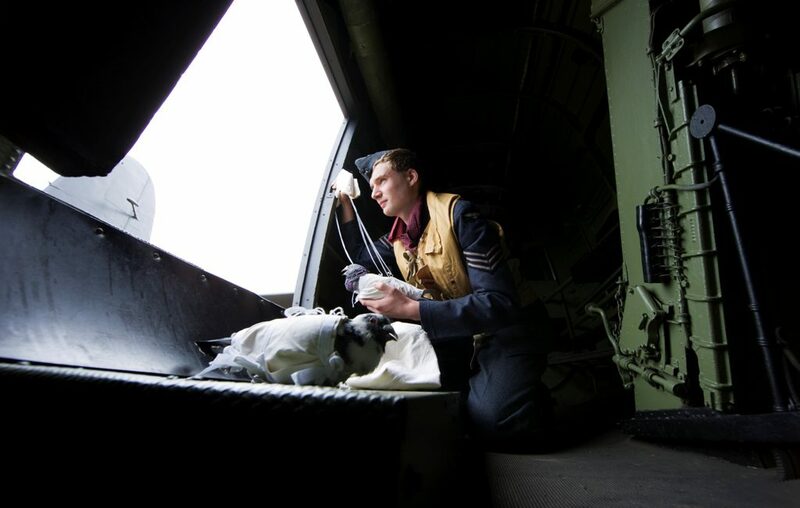 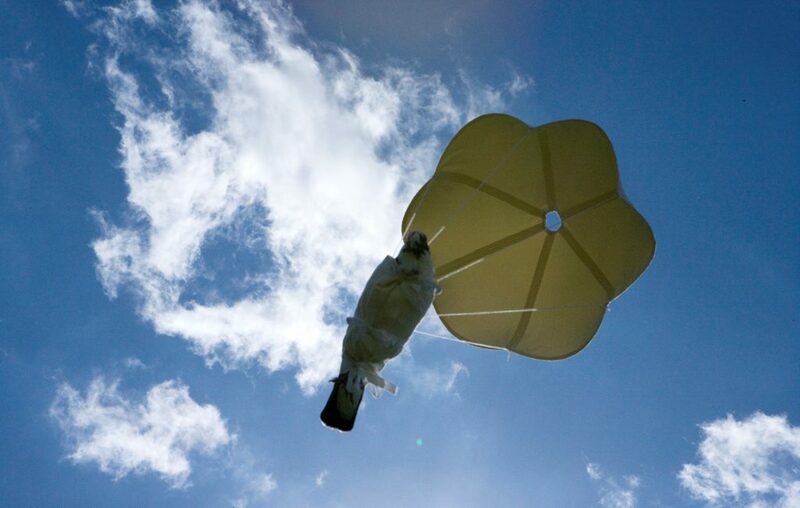 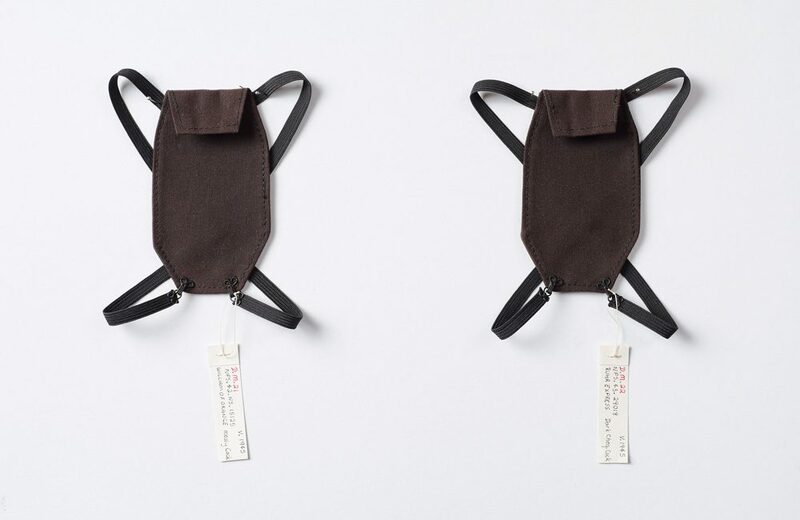 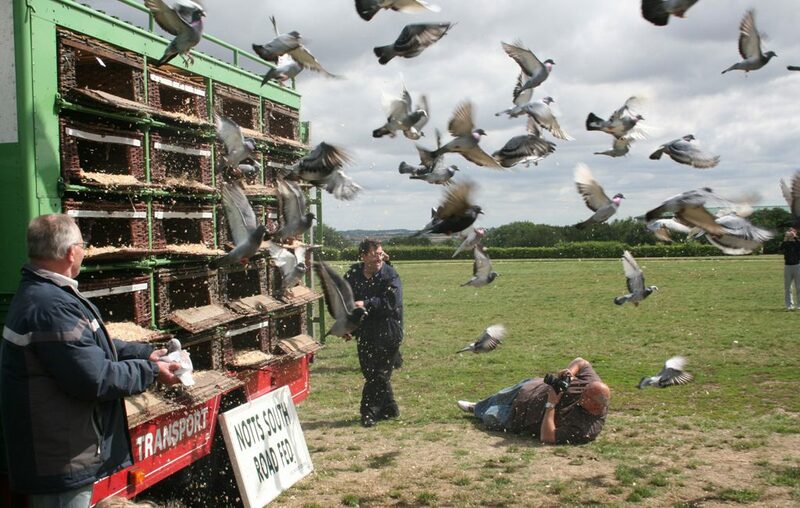 The Archive documents, through photography, video and sculpture, the re-enactment of pigeon maneuvers using re-constructed wartime equipment. 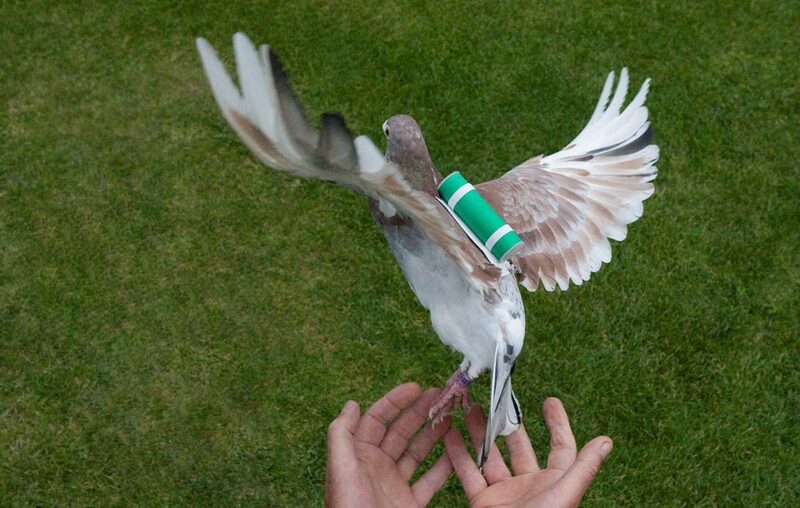 Procedures that inhibited or denied pigeons their natural behavior are of particular interest to me, such as the wearing of message carriers that were strapped to the body with elastic harnessing and the parachuting of pigeons from aircraft bound and attached to parachutes. 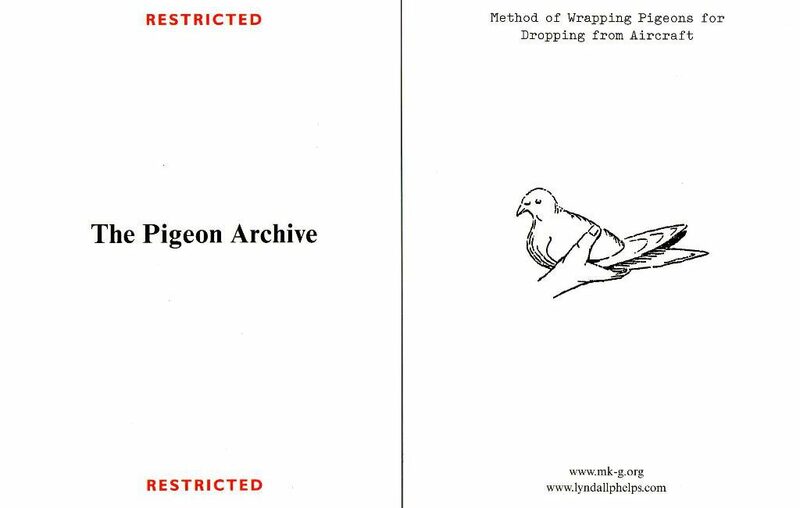 These are extremely poignant, in light of the reality that large numbers of pigeons lost their lives, mostly through starvation, being killed by the enemy or exhaustion and exposure due to harsh conditions on homing flights. 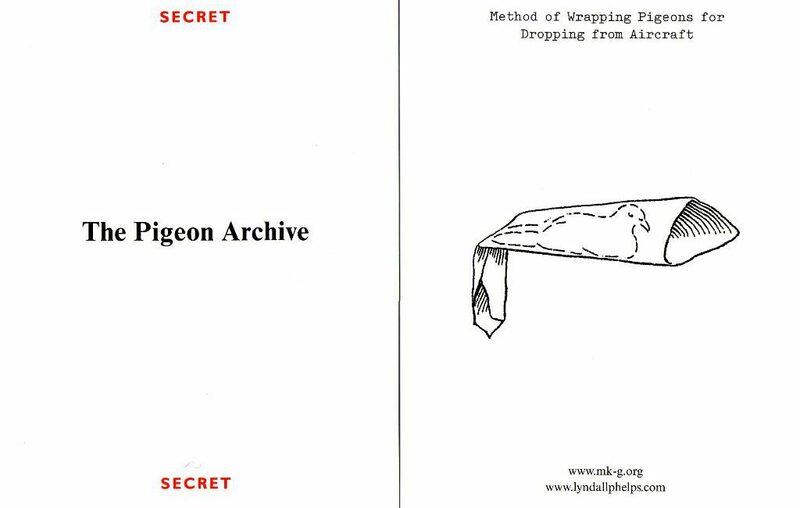 Since the beginning of the 20th century pigeons have been used for surveillance purposes, this escalated during both World Wars. 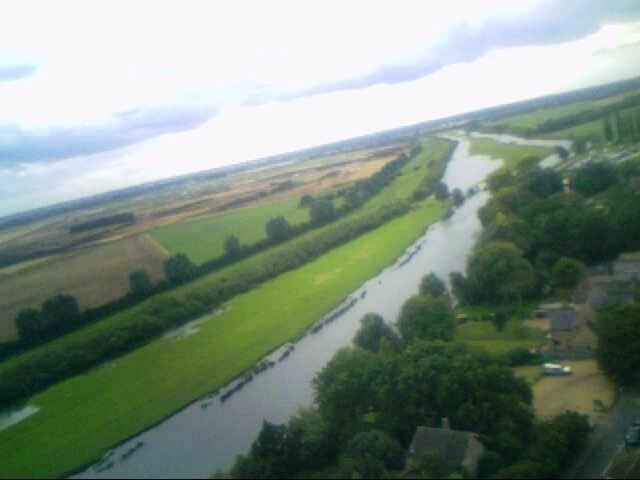 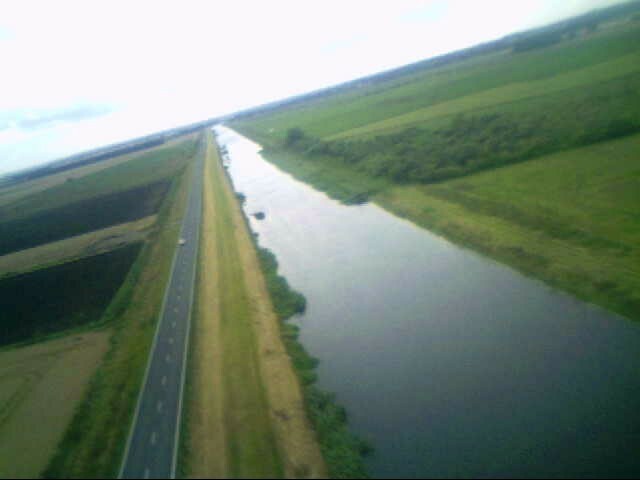 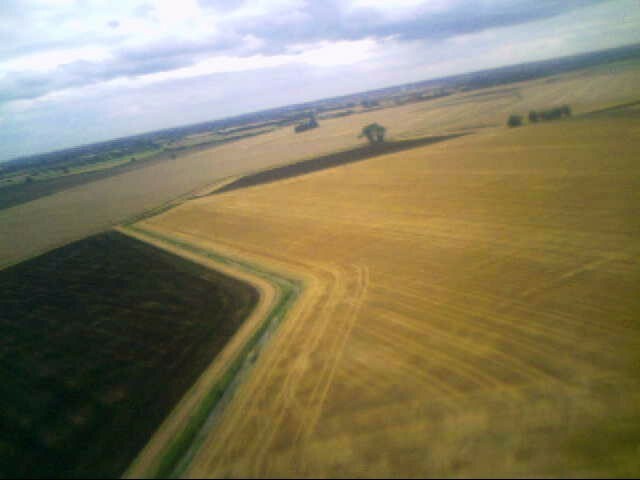 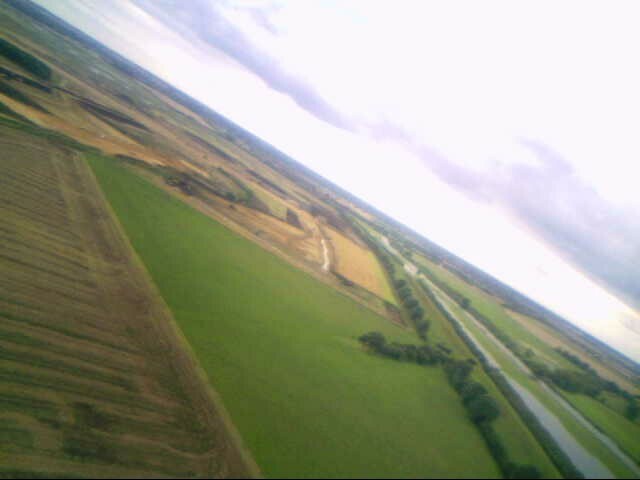 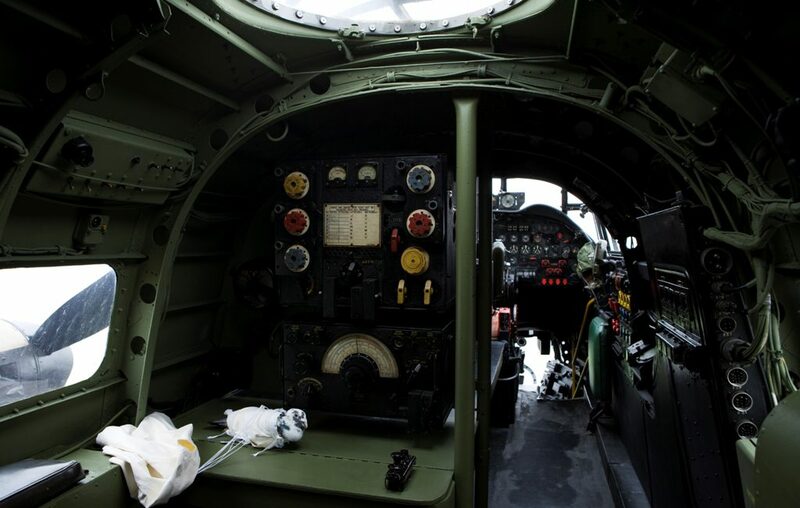 The DVD stills show the Cambridgeshire Fenland from above, the skies are now relatively quiet, in sharp contrast to the Second World War, where military aircraft dominated. 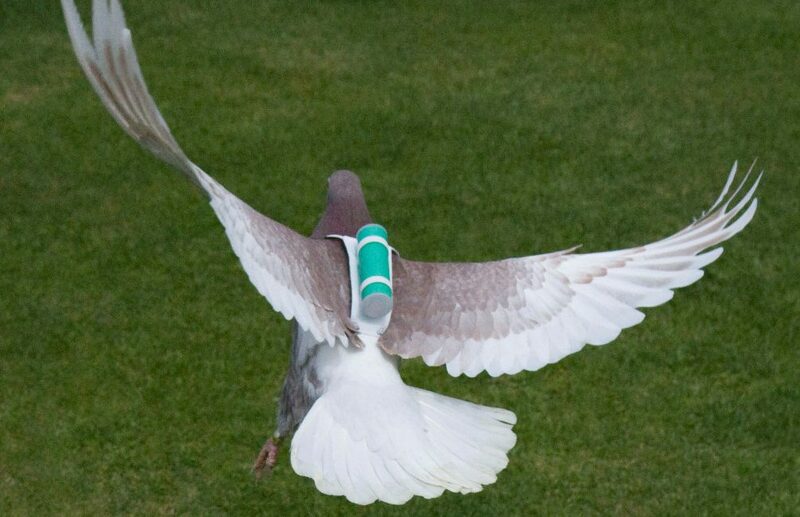 The footage was taken by a pigeon wearing a small, light-weight video camera harnessed to its body. 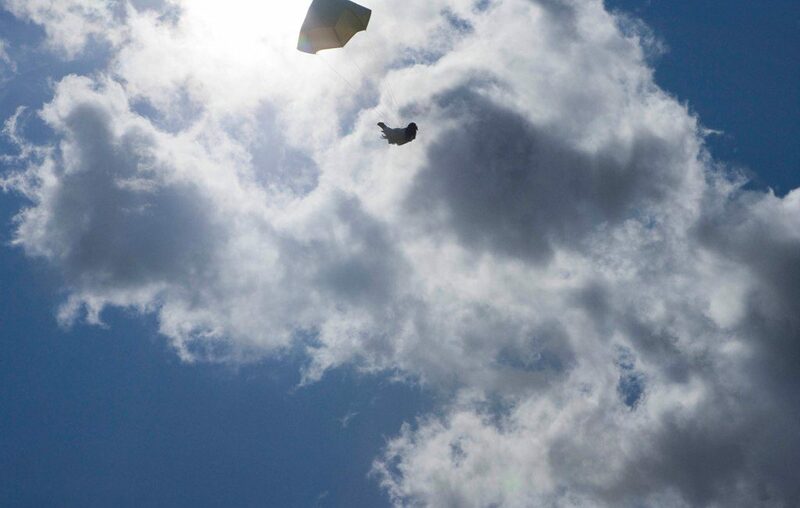 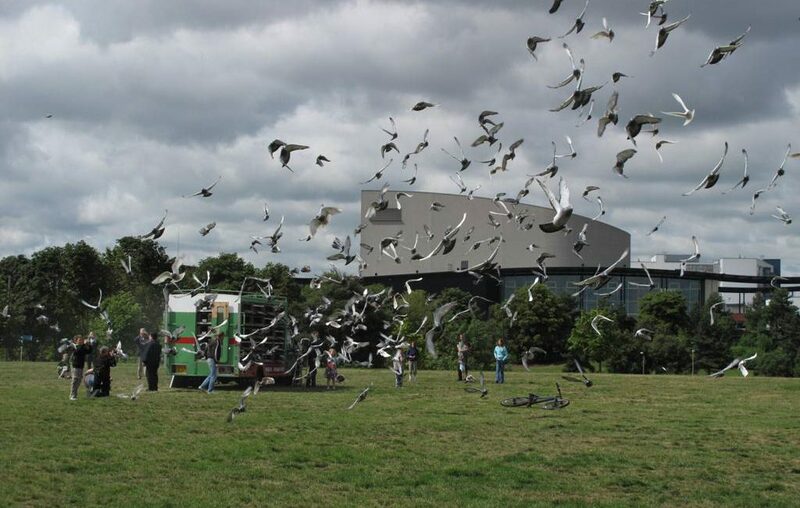 During the exhibition a special pigeon race was held, where 500 pigeons were released from Campbell Park, Milton Keynes. 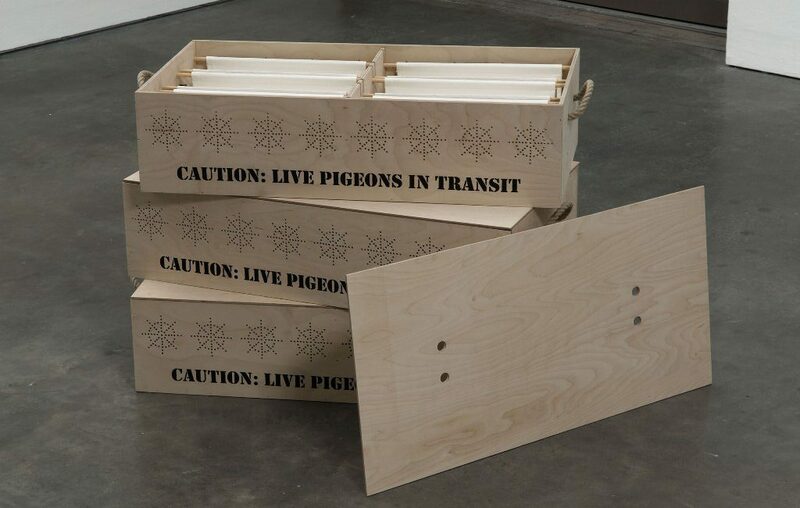 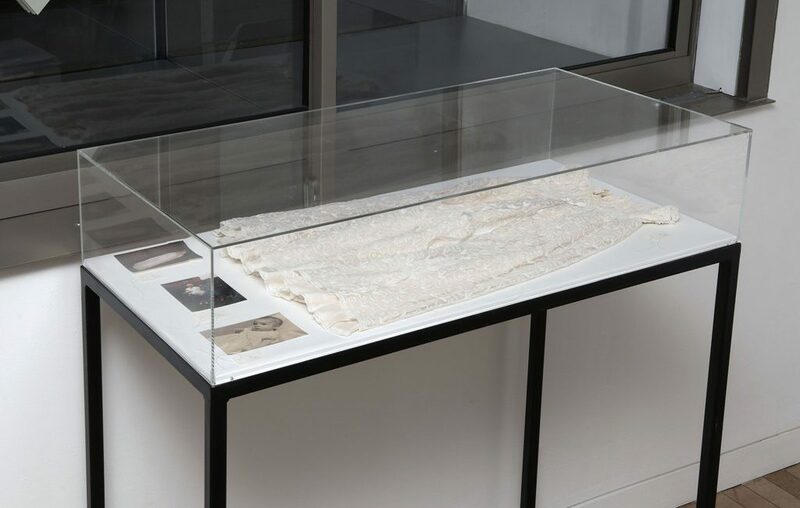 The Pigeon Archive has also been shown, in full or part, at Dianne Tanzer Gallery, Melbourne; the Empress Ballroom, Blackpool (a Grundy Art Gallery event); King’s Lynn Arts Centre; Lismore Regional Gallery, New South Wales; Salisbury Arts Centre and the Sydney Olympic Park’s Armory Gallery. 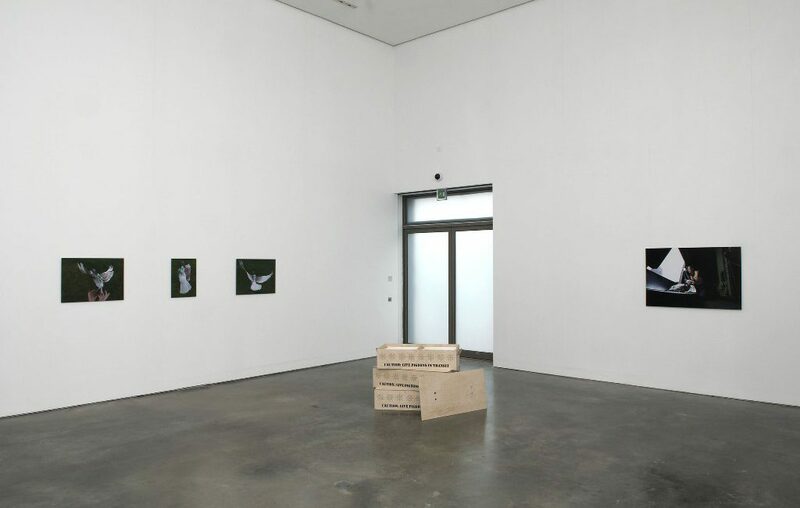 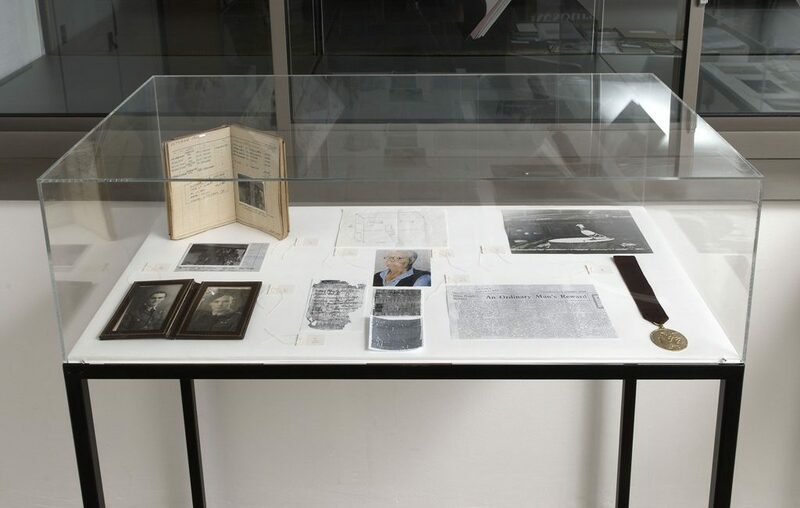 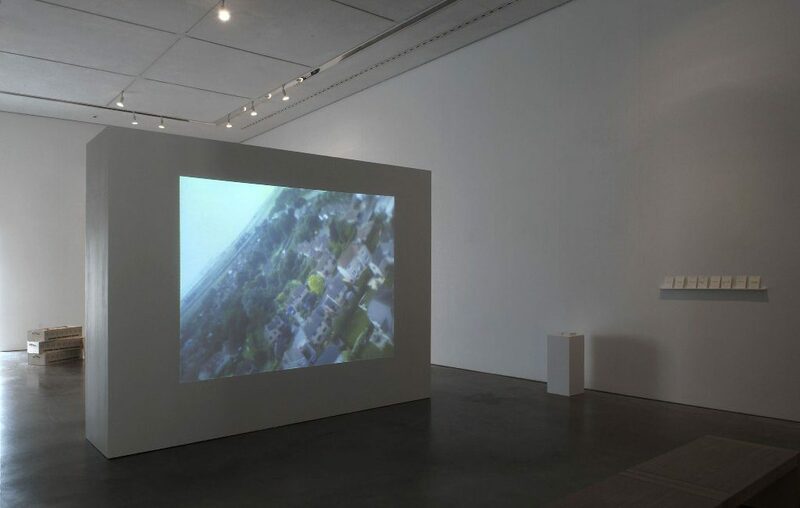 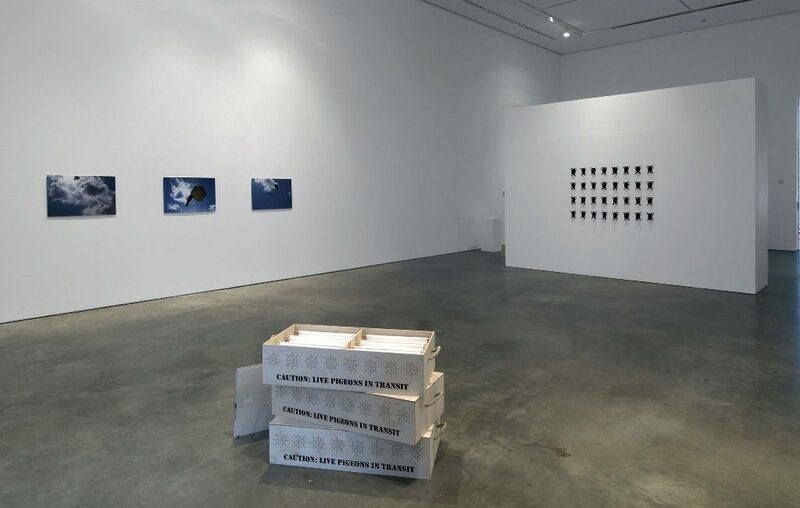 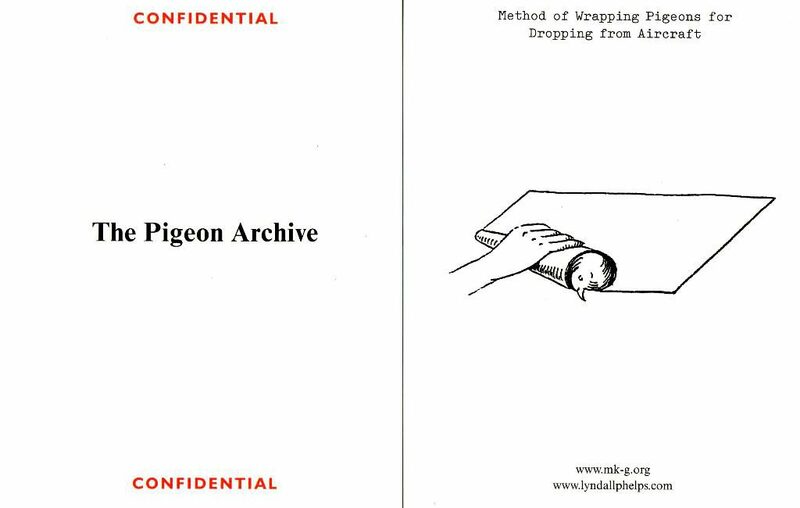 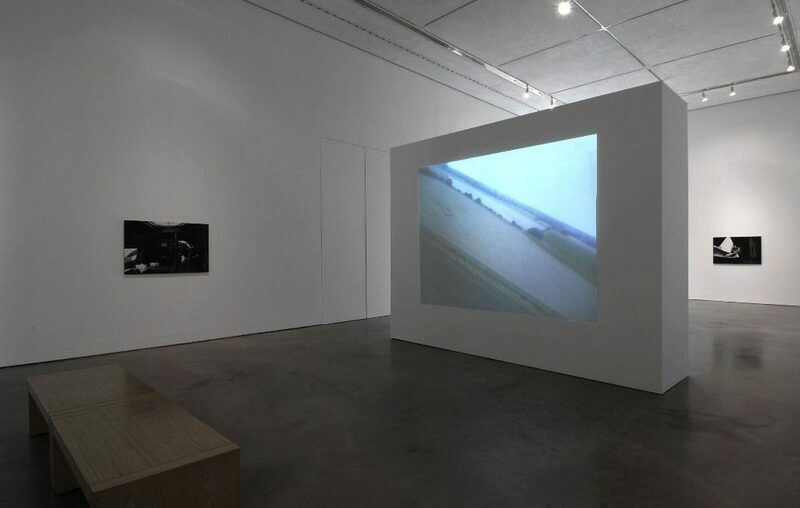 A PDF of The Pigeon Archive, an essay by Michael Stanley, former Director, Modern Art Oxford and Milton Keynes Gallery can be seen here.